Super Pochaco gets in the football spirit with her latest statue. Super Sonico’s pal Super Pochaco takes the spotlight with her latest statue. Set to debut at the Winter Wonder Festival figure event, Super Pochaco dons some football themed lingerie, along with a football and removable shoulder pads. The statue was sculpted by Katsuaki Nemoto and based on character designs by Tsuji Santa. 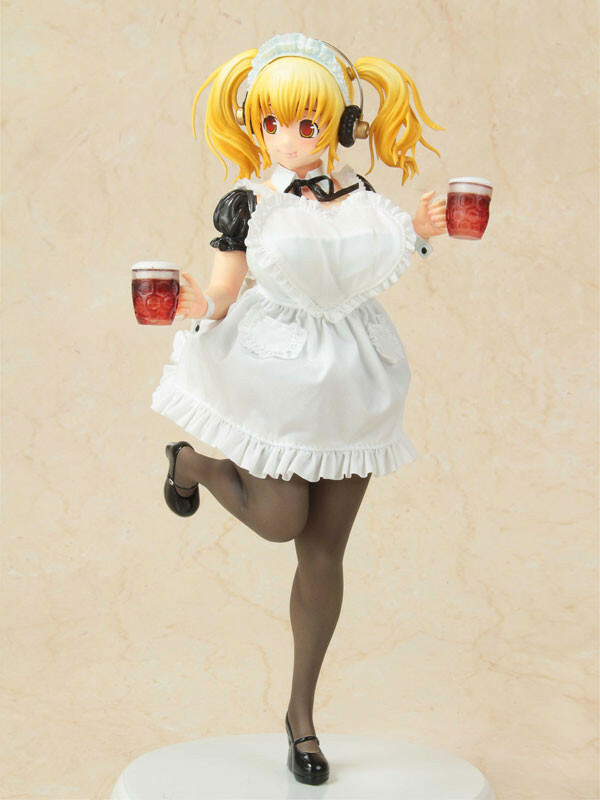 Super Pochaco also dons a beer maid outfit in another statue that is available for purchase now. Not to be outdone, Super Sonico is getting her own tanned cheerleader statue. Check out all three statues, along with a piece of sample artwork, in the gallery below.